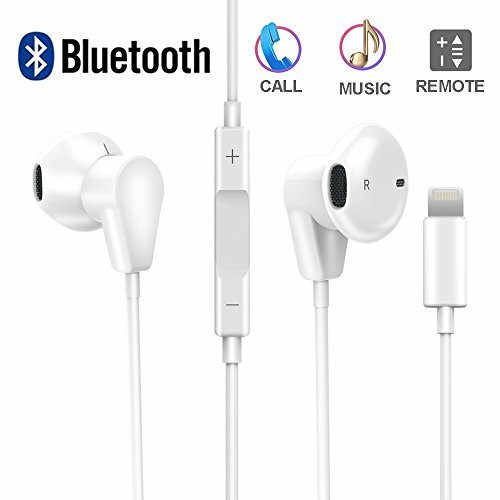 【Quality headset and Bluetooth V4.1】 Bluetooth V4.1 technology for seamless syncing to your favorite devices, including iPhone, iPad. Delivers Premium Sound with fine-tuned acoustics that balance strong bass, soaring Highs, and clear mids. With No Distortion and a very natural feel. Built in remote control button and MIC allowing calling function ,music and volume control. 【Ergonomic design】Universal headset shape match most people\'s ears.Ergonomic design allows for ultimate wearing comfort,you wont feel hurt even for an whole day wearing. 【Sweat Resistant】 Built for your active lifestyle - these earbuds are rated IPX Level 6 and can withstand dripping sweat. Great for your active lifestyle like running, jogging, cycling, driving, camping,hiking, gym exercise and other outdoor sports. 【Noise Reduction 】With CVC 6.0 technology, Fourcase Bluetooth Earbuds reduce background noise, so you can focus on your favorite music, no matter where you are.